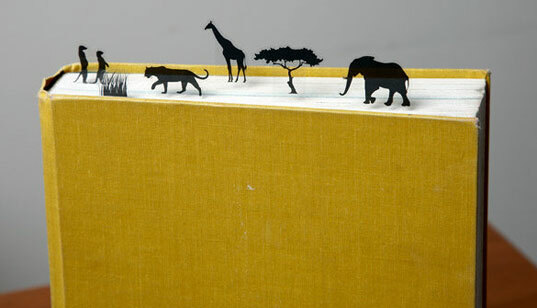 Dog-eared book pages, make way for African creatures who leave their mark! We’ve added these sweet ‘Savanna’ book markers spotted at LMNOP to our list of faves. Re-visit one of our previous link round-ups to view additional animal bookmarks we love. Ohdeedoh helps us think outside the box (literally) with an easy, green play idea for tots — let your kids decorate a three dimensional box instead of flat paper during art sessions, to give them a new perspective. Minor Details shows us this cool twist and lock storage system made out of crates! Growing Up Green helps moms in labor and postpartum look and feel fashionable during their hospital stay. How is that possible? Check out this fabulous find: organic cotton Hot Mama Gowns! Shak-Shuka unveils these decadent vegan baby shoes from Dimmalimm Kids! Sign us up for several pairs! Dog-eared book pages, make way for African creatures who leave their mark! We've added these sweet 'Savanna' book markers spotted at LMNOP to our list of faves. Re-visit one of our previous link round-ups to view additional animal bookmarks we love.